recommended for: Fans of Jackaby by William Ritter, Sherlock Holmes, and These Shallow Graves by Jennifer Donnelly. A Madness So Discreet is a delightfully sinister asylum story interwoven with a Sherlock Holmes crime story. Grace is committed to a Victorian-era asylum for a peculiar kind of madness--pregnancy. Like many a fallen girl, she's being shut up in the asylum until the birth to protect the reputation of her father, the senator. Only it was his evil desires that ruined her. Not for the faint of heart. The plot is intense and multilayered. Grace is content to hide in the asylum to escape her father's depravity, but she grows increasingly worried for her younger sister. When she becomes unruly, the cruel warden schedules her for a lobotomy--but the enigmatic Dr. Thornhollow instead whisks her away to a kinder asylum where he acts as a doctor, and moonlights as a criminal profiler. With his forensic knowledge and Grace's photographic memory, he hopes to catch a rampant serial killer. Being a serial killer junkie myself (yes, I'm one of those people), I was thrilled to follow Grace and Thornhollow's investigation of the person going about slaughtering young women. Their time period allows for a little looseness in the accuracy of their conclusions, so I didn't twitch. Much. Their search is breath-holdingly twisty and brings out a ferocity in Grace that I didn't expect. McGinnis goes farther than most young adult authors would dare, and the darkness adds power to her words and a chill that lingers. Aside from the killer, Grace is struggling with her father's evil. With her sister growing older, in danger of suffering her fate, she's desperate to expose her father's vile proclivities to the world before it's too late. Her quest for revenge leads her into a desperate spiral that threatens to undo her very humanity, and casts shadow on the nature of madness. 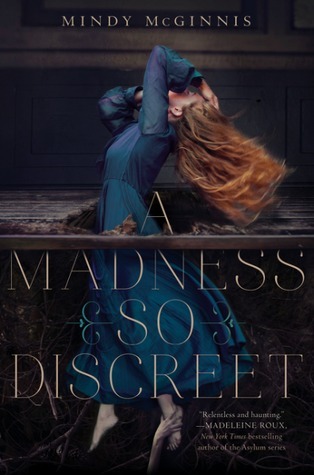 Dark and written in a poetic prose, A Madness So Discreet is an affecting crime novella that combines the best of Victorian charm with madness and murder. The relationship between Grace and Thornhollow (who is absolutely pompous in an adorable, awkward way) is charged with shared fervor and hints of something more (although I wish there'd been more). There were slow bits and some contrived plot points that keep me from giving this more stars. There was also a something I was missing. Another level of darkness, perhaps. 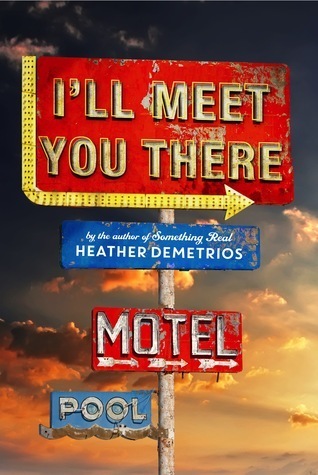 However, it's a fantastic example of both crime fiction and an asylum story, and a delightfully harrowing read. Dark and twisted, A Madness So Discreet plays with your ideas of good and evil, sanity and madness, and spins a thrilling tale. will i continue the series? I'm actually not sure if there is one. Yes, if there is. Note: I received this copy in exchange for an honest review. The price of the book and its origin in no way affected by stated opinions. Aw, you're too kind. ;P <3 And as always, I appreciate your lovely comments. I think you'll like this one. It's not OMGWHOAAMAZING but it's really entertaining and well worth a read.